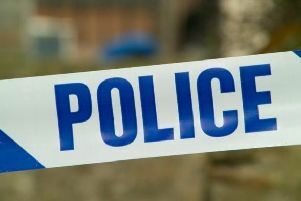 A man aged 65, was hit over the head and robbed in Bletchley on Thursday night (Nov 30). The robbery happened around 11pm in Buckingham Road, when the victim, a 65-year-old man, was approached from behind by two offenders. He fell to the ground after being hit over the head. The offenders then demanded his property and searched him, before stealing his wallet and mobile phone. The victim sustained a black eye, as well as cuts to his face and a head injury. He was taken to hospital for treatment and has since been discharged. Investigating officer Detective Constable Susan Russell, based at Milton Keynes police station, said: “This incident resulted in a man requiring hospital treatment and I am appealing for anyone who witnessed this incident to come forward. If you have any information relating to this case, please call 101 quoting reference ‘43170357238’, or contact Crimestoppers anonymously.